If you love skiing, you're going to want to teach your kids to ski. Before you do, take the time to make a plan and do things right. 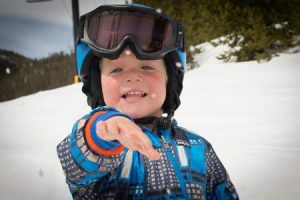 In this post, we outline some general guidelines to help you ensure that your kids will love skiing forever. Pick The Right Age - Never push a kid into skiing before they are ready. Some kids are ready at 18 months, others at 5 years old. The key is to make sure that your child is excited and eager to slide around on snow. 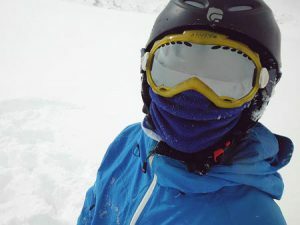 Make It Fun - Why do we go skiing? Because it's fun. Making skiing fun is the number one rule for all age groups - especially for kids. Play games, bring candy bribes, get involved, think like a kid, and cater to your child's needs. 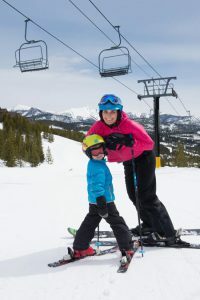 Hire An Instructor - While many parents want the fun of teaching their kids to ski, it's always best to hire a professional. Book lessons with a ski instructor who specializes in kids. These children specialists know the tricks and tactics to ensure that your kid has fun and learns correctly. Do your best not to be a helicopter parent. Watch the lesson from a distance so that your kid can make the most of the lesson. Never Over Terrain Them - Stick to simple terrain with your kids. Just because they can power wedge down a blue run, doesn't mean you should take them there. Stick to the bunny hill or green runs to help them build the proper skills and avoid bad habits. Dress Them Correctly - It's hard to dress for skiing. Do you best to ensure that your kid is warm and dry. Rent gear instead of buying it as kids can outgrow skis, boots, and poles every season. Master The Basics - Take it slow. Your child will not be skiing the Lone Peak Tram with you anytime soon. Start simple and keep it fun. Walk on snow in ski boots. Teach them how to get up. Ditch the poles. Make falling fun. Focus on balance. Play around with pizza/French fries. Avoid the child leashes and don't use an edgie wedgie. Let them learn how to ski properly even if it takes time. When your child learns to ski at a young age, you'll set them up for a lifelong adventure. Teach your kids to ski. It's the best thing you'll ever do for them. FYI - Did you know that if you book your lodging via Big Sky Central Reservations, two kids 10 and under stay and ski for free? Get the details here.